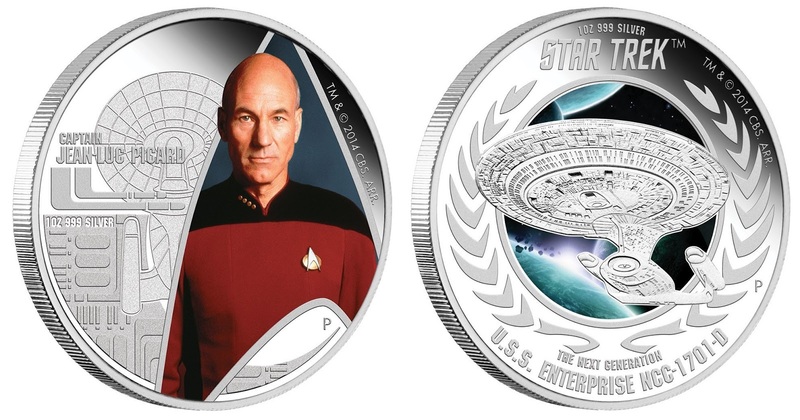 The Perth Mint in Australia has revealed their second set of Star Trek coins, a TNG pair, featuring Captain Picard and the USS Enterprise-D. 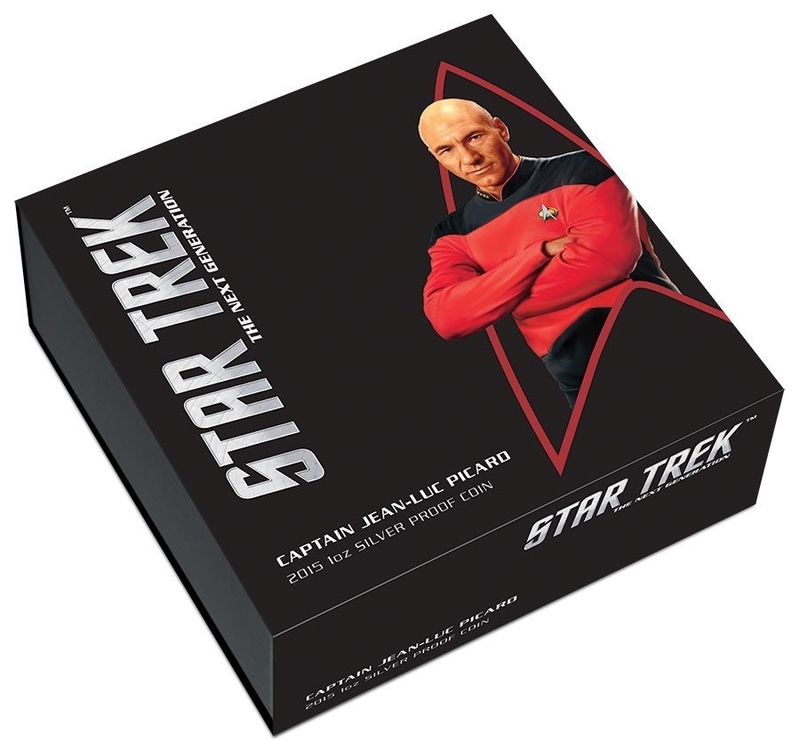 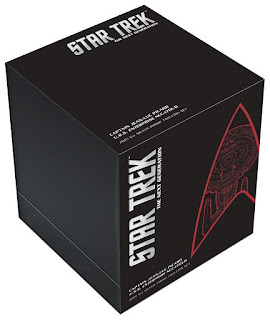 These follow the previous TOS coins, and are part of a series of five releases, which will presumably encompass all five of the prime captains and ships. 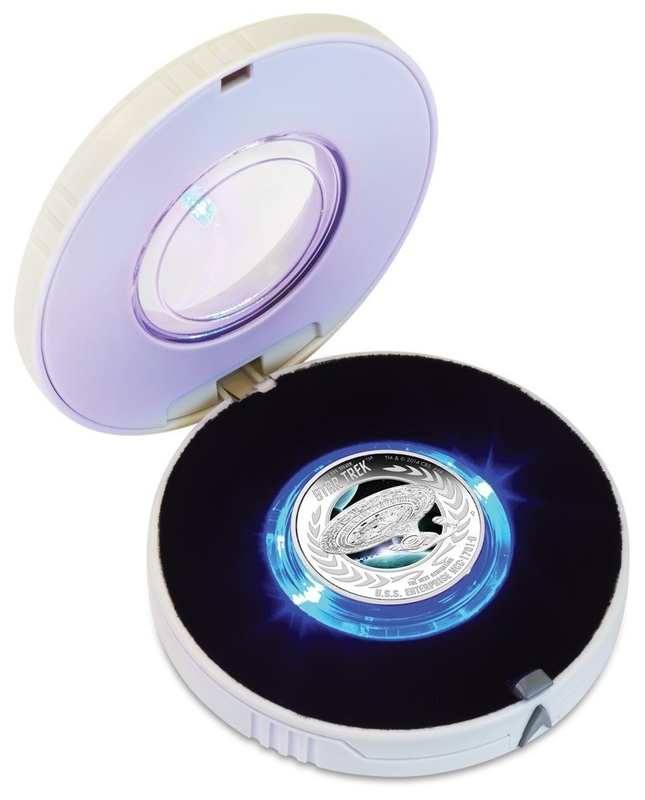 Like the previous release, these coins have a face value of one dollar, but you'd be unwise to pop along to the shops in Tuvalu, where they are legal tender, as they've been struck in silver, so are somewhat more valuable! 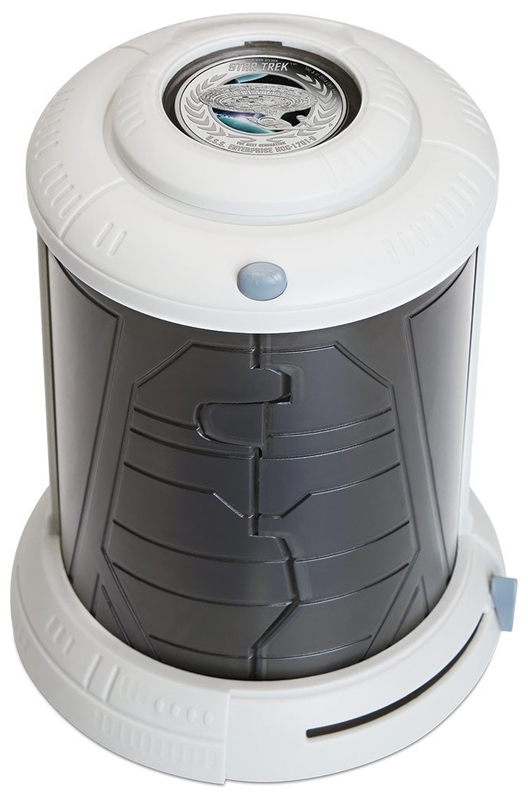 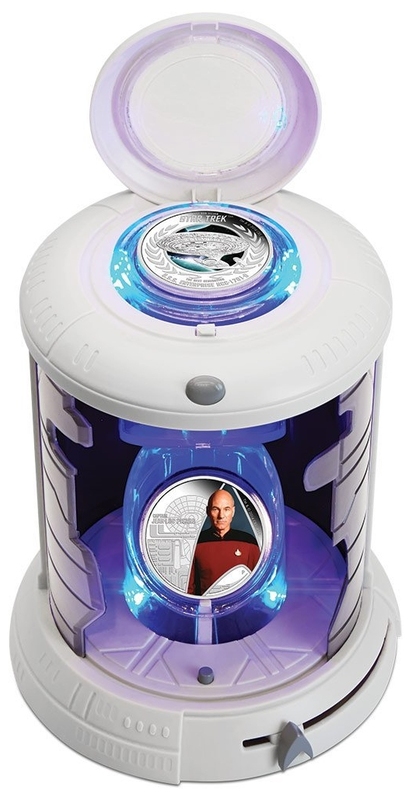 Each coin is available separately in an an illuminated display case, or together in a novelty transporter room inspired case. 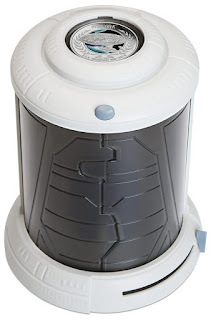 Continue below for more images. This is the Picard coin, which like all the coins in the series features a colour print element, and Queen Elizabeth II on the reverse. And this is the Enterprise-D coin. 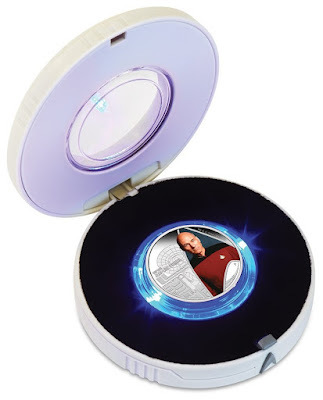 And here is the display case for the pair, which illuminates when opened.